"Papayas could become as popular as mangoes or avocados"
Guillermo González: "Now that Europe is familiar with Canary papayas, the demand is increasing"
After 30 years of experience in the cultivation of papayas, three Canary producers decided to stop resorting to local cooperatives for the marketing of papayas and to carry out this task themselves, creating the Sweet Papaya brand. 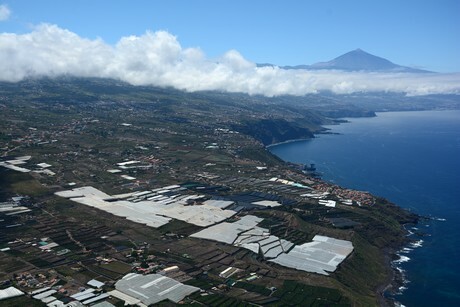 Its plantations are located in the north of Tenerife, which has very favorable climatic conditions for the fruit's cultivation. "We produce between 800,000 and 1,000,000 kilos of papaya annually. 60% of this is distributed in the local market and the rest is intended for export, both to the Iberian Peninsula and to other European countries. We ship the highest quality production overseas," says Guillermo González de Aledo, partner of Sweet Papaya. At the moment, Canary papayas enjoy good market conditions and good prices, helped by the boom in the demand for exotic products that is usually recorded in the weeks leading up to Christmas and the current shortage of papayas from other origins. 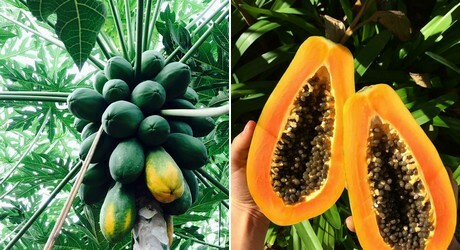 "There is little papaya from Brazil and other South American countries, and at the same time, there isn't yet a great availability of papayas from the Canary Islands. The competition with Brazil will intensify again from late February," explains the producer and exporter. 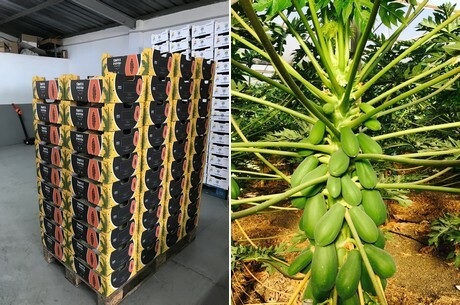 Although there are producers in the south of the Peninsula who are involved in papaya cultivation projects, this is not proving an easy task, either in terms of quality or production costs, compared with the conditions in the Canary Islands. "Papayas need a constant temperature of around 25 degrees Celsius in order to yield high quality fruit. It is already a challenge for us to produce high quality papayas, in comparison with other countries in Latin America, due to the climate. In Almeria or Malaga there are some very good producers, but the climate is marked by colder winters and hotter summers, which makes it much more difficult to grow this product. In fact, they can only offer acceptable quality for 3 months a year. There are also producers using heated greenhouses, but the costs are very high." At the moment, papayas are a relatively unknown fruit in European markets compared to other products in the tropical segment, such as mangoes or avocados; however, according to Guillermo González de Aledo, their health benefits are increasingly attracting the interest of consumers, so they could eventually become as popular as mangoes or avocados. "I believe that if we do things right in terms of quality and we are able to offer consumers a good and tasty product, papayas have a lot of potential," says Guillermo. In fact, Canary papayas are appreciated in the European market, not only for their taste, but also for their sustainability. "Many of our customers value that the papayas arrive by boat and not by plane, as this reduces the carbon footprint. More and more supermarkets prefer to offer European papayas, rather than fruit from South America due to the greater focus on environmental sustainability. The Spanish papaya is relatively new in the European market, and it seems that in these first few years, the markets have been testing us. Now that they are more familiar with our product, the demand is increasing," he adds. 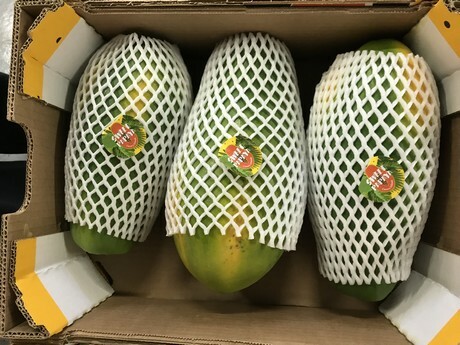 The papayas of this Canary company are available all year round, although the months with more and better production are those between November 1 and July 31. "In summer, we harvest what we have grown during the winter, so the Brix degrees are lower and the skin is less attractive. Our objective is to improve our infrastructures in order to have the same quality throughout the year."